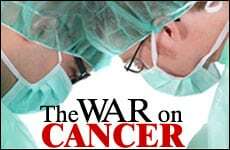 The “war on cancer” was declared around 40 years ago, billions of dollars have been spent on research and trillions of dollars on treatment. In spite of this, we are witnessing an increase in both the incidence and death rate from cancer. Obviously, not only are the causes of cancer not being addressed, but the concept of “war” against the “cancer” (the body) must be abandoned. A seed requires fertile soil to sprout and to grow, mature, bear fruit and reproduce and, unfortunately at this time in the history of mankind, the “seeds” of cancer are in abundance. It is, therefore imperative to insure that one’s body is not “fertile ground”. Cleansing the colon, eating a diet of fresh, juicing, organic vegetables, nuts, seeds and low glycemic fruit, along with plenty of sound sleep, regular exercise, hormone balancing, honest relationships and prayer/meditation are what turns the human body into an inhospitable host for the development and growth of cancer. Instead of this morbid consequence, what is produced, is a body in which health reigns supreme.